The common name "cypress" covers many trees, but true cypresses (Cupressaceae family) offer distinctive resinous wood, scalelike foliage and rounded cones. These conifers, which are evergreen and often large, migrated throughout the world alongside admirers on the move. Cypress family members cross readily in nature and nurseries, leading to many hybrids and frequent changes in botanical names. 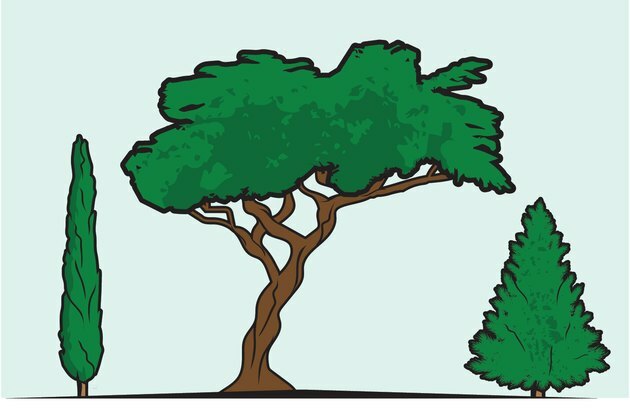 The root systems of popular cypress trees have distinct characteristics and share some vulnerabilities. Italian cypresses stand guard along villa drives throughout Italy. 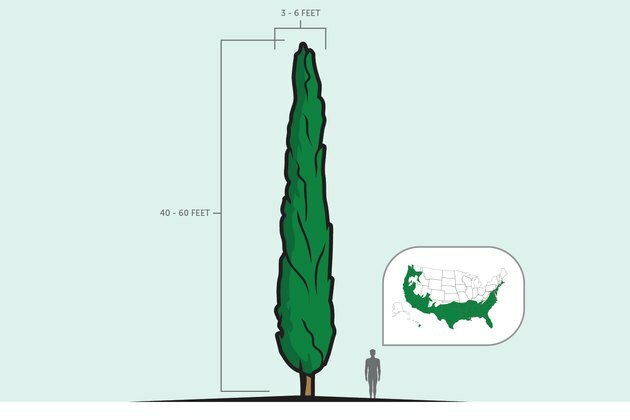 The popularity that Italian cypress (Cupressus sempervirens) enjoys throughout the Mediterranean translates to similar climates in the United States. 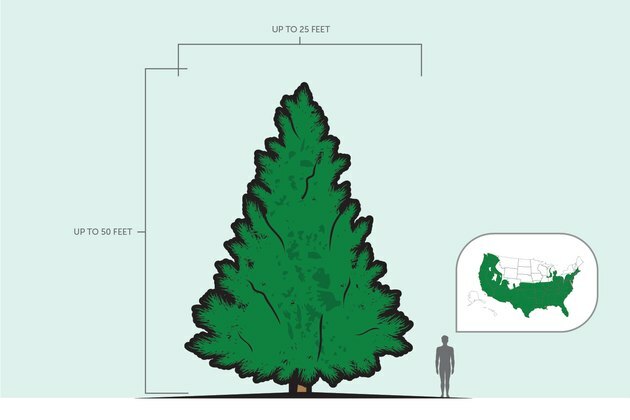 Hardy in U.S. Department of Agriculture plant hardiness zones 7b through 11, the stately columnar trees grow 40 to 60 feet tall and just 3 to 6 feet across in full-sun locations. 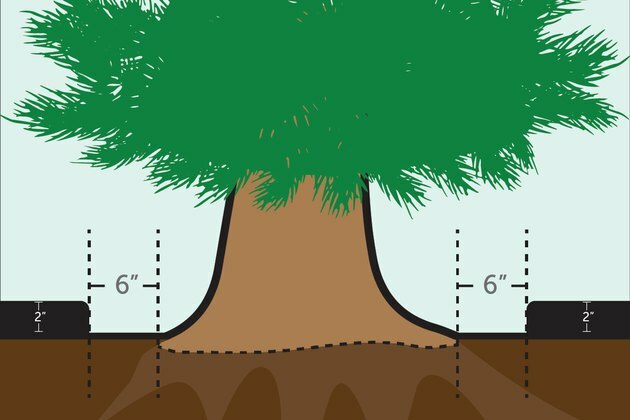 Too tall for most home landscapes, they depend on stabilizing roots. Roots require well-drained soil and regular watering until they become established. Deep, infrequent watering encourages deep Italian cypress roots and enhances their high drought tolerance. With proper soil and culture, surface roots are not an issue with this tree. Italian cypress roots tolerate clay to sand, acidic to alkaline soil pH and saline soil. From its now-rare oceanside habitat in California, Monterey cypress (Hesperocyparis macrocarpa, formerly known as Cupressus macrocarpa) traveled to many countries outside the United States. Valued for its extensive root system, it was widely used for soil erosion control. The well-defined taproot accompanies fast-growing lateral roots, but surface roots are not a problem. 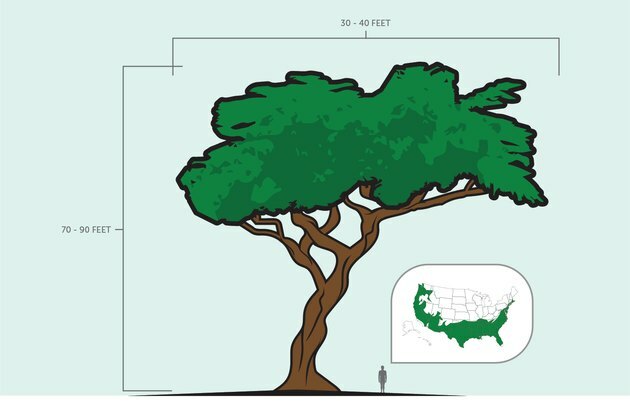 The tree grows 70 to 90 feet in height and matures to a 30- to 40-foot spread in USDA zones 7 through 9. Monterey cypress roots tolerate sand to clay and well-drained, acidic to slightly alkaline soil. The anchoring roots provide good drought and wind resistance. Erect in inland plantings, the trees twist beautifully in coastal winds over time. Leyland cypress (x Cupressocyparis leylandii), a Monterey cypress cross, naturally reaches 50-foot heights and 25-foot spreads to quickly outgrow home landscapes. However, it responds well to being kept as a dense 6- to 10-foot-tall hedge in full sun to part shade. Hardy in USDA zones 6 through 10a, Leyland's extensive, shallow roots extend horizontally to distances equal to the tree's height. The roots outcompete other vegetation for moisture and nutrients. When size is limited, roots are not a problem. Allowed to reach mature size and vigor in limited landscapes, the tree's roots may damage property. Leyland cypress roots have high drought tolerance and moderate tolerance to soil salt. They handle all soil types and acidic to alkaline, well-drained soil. Given room and proper care, cypress root systems rarely cause problems, but the fungal pathogen Phytophthora troubles this family. Poor drainage, excessive irrigation and improper mulching leave trees susceptible to collar, root and crown rots. Gone unchecked, the lethal soil-borne fungus survives years in wet soil -- but it can't spread without moisture. Prevention through good drainage and water management is the most effective control. Always keep mulch at least 6 inches from the flared root collar area where cypress trunks meet their roots. Limit mulch to 2-inch depths. Established cypress need little supplemental water. 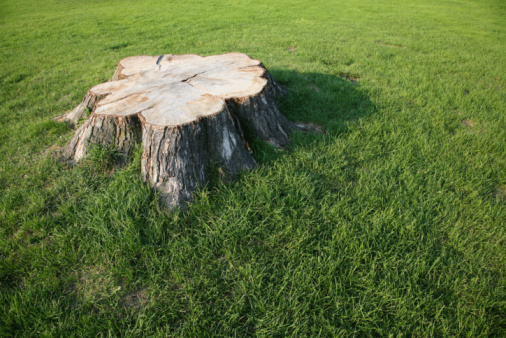 If your tree becomes overwatered, gently remove soil around the trunk to help dry out the crown. Allow the soil to dry well between any waterings.